Interest in medication errors was heightened by publication of the Institute of Medicine (IOM) report “To Err is Human,” which revealed the burden of medical errors and the impact on patients in the US. Following publication of the report in 2000, health care organizations bolstered efforts to reduce medical errors and the illness and death that result. Despite these efforts, a recent analysis based on studies conducted since the IOM’s report highlighted medical errors (including medication errors) as the third leading cause of death in the US. Extrapolating to the total number of US hospital admissions in 2013, the authors estimated that more than 250,000 deaths per year are caused by medical errors – and that includes only inpatient deaths. 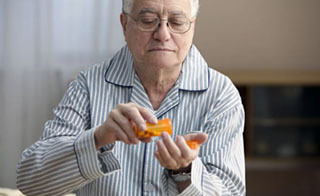 Medication errors have been identified as the most common type of medical error.3 The FDA estimates that medication errors occur in about 1.3 million people annually and result in at least one death every day in the US.4 In the hospital setting, adverse drug events (ADEs) occur in nearly 5% of patients; preventable ADEs are one of the most common types of inpatient errors.5 In the outpatient setting, ADEs account for more than 3.5 million physician office visits, 1 million emergency department (ED) visits, and 125,000 hospital admissions annually. It is estimated that nearly half of these ADEs are preventable. Given the impact of medication errors and ADEs on healthcare utilization and costs in the US, error prevention practices remain key for both prescribers and pharmacists. Because pharmaceutical care involves the identification, resolution, and prevention of drug therapy problems and medication errors, pharmacy personnel, as well as prescribers and patients, have a key role in error prevention. Brief Bio : Dr. Neumiller is a Consultant Pharmacist and an Associate Professor of Pharmacotherapy at Washington State University (WSU). Dr. Neumiller is a member of WSU’s Geriatrics Team and WSU’s Clinical Trials Research Team. Dr. Neumiller is actively involved in research aiming to improve medication safety during care transitions for older adults and clinical trials centered on the management of diabetes and its complications. Washington State University in Spokane Washington.